Leicestershire has 3 fantastic paintball venues that service all types of groups looking to play. The Leicester paintball park is set in the heart of the Leicestershire countryside and is a great place to hold your event. 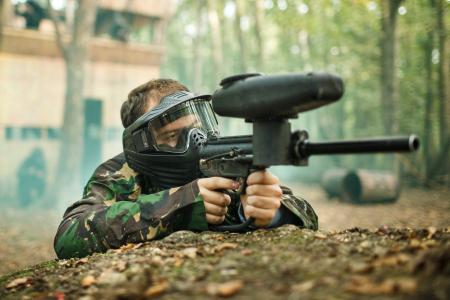 Other venues that are easily accessible from the Leicestershire area include the Nottingham paintball venue and the Coventry centre. These parks are both superbly located for players coming from Leicestershire and will provide you with a brilliant day of paintball fun.